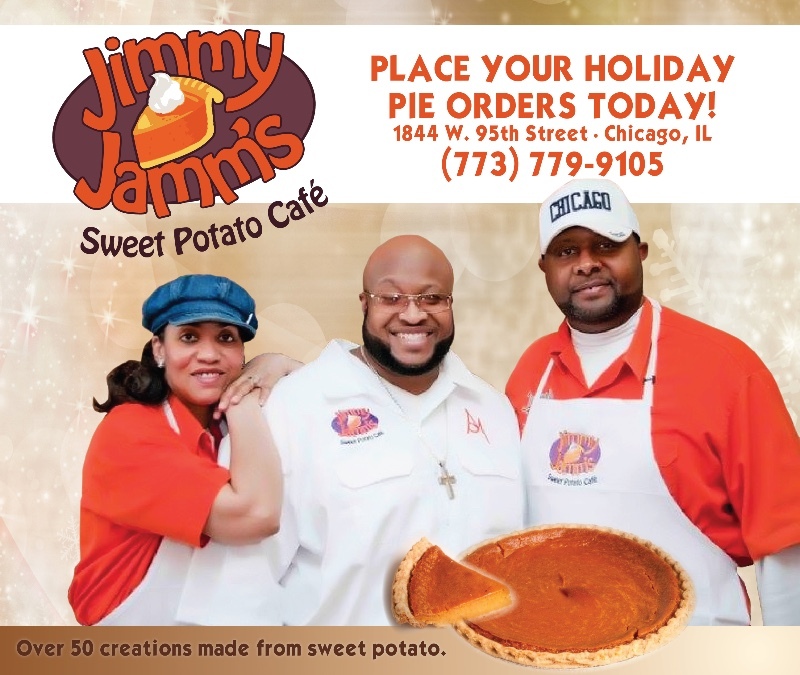 Jimmy Jamm Pies • BLACK American MADE - BAM! 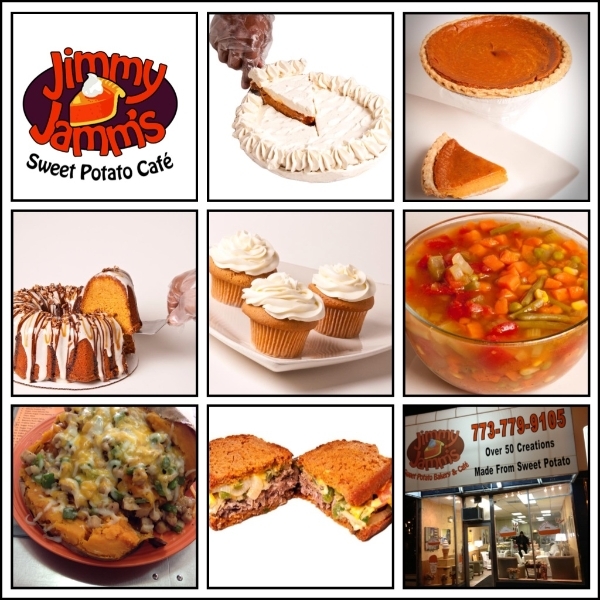 Jimmy Jamm Sweet Potato Bakery, one of Jackson’s many successful business ventures, has fans from all walks of life: Homewood Mayor Richard Hofeld, a foodie who travels frequently through Chicago in search of good eats, is a fan. 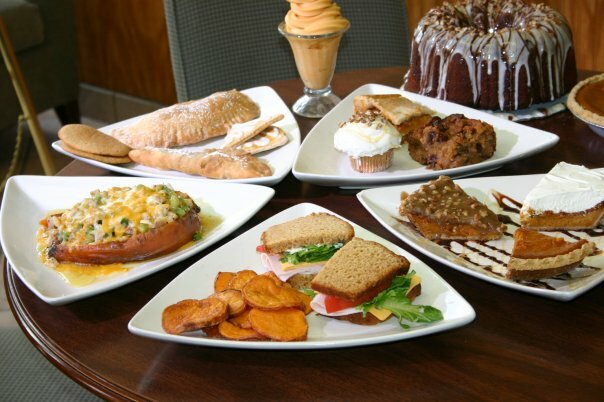 “Jimmy Jamm’s is a very welcoming place,” Hofeld said. 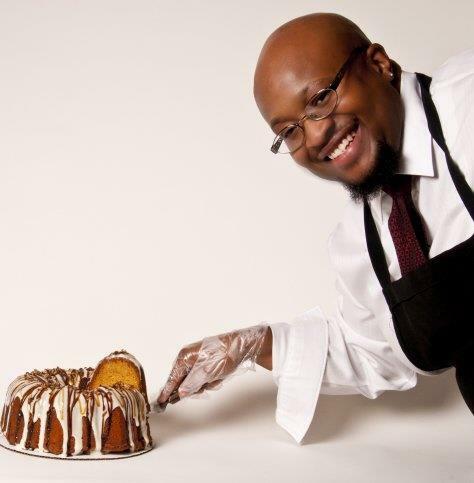 “The sweet potato pie has a great balance, it’s not stringy, it’s smooth and very light. You can taste the freshness.